One of the more popular past times in Martinique is visiting friends. People spend a lot of time in other people’s houses. Clubs have become popular on the island, and there are clubs for different age groups, normally determined by the kind of music that is played. There is very little European and American music played in the clubs. Rather, one can dance to a mixture of Caribbean pop called zouk, traditional Creole music, salsa, reggae and African music. Clubs open at around 10:00 p.m.; however, the night is not in full swing until around 1:30 a.m. and goes strong until around 5:00. No drinking age is enforced. There are many other recreations in Martinique. At present there is one mediplex movie theatre, as well as numerous other small theatres, and movie screenings often held in churches. 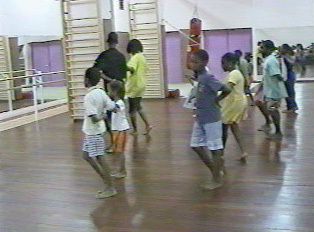 A lively schedule of performances includes local theatre groups, the National Ballet of Martinique, traditional Creole performers, many international dancers, singers and other entertainers who perform at the hotels and cultural centers. The favorite sport to watch and play is soccer. Both residents and tourists enjoy the beach and all of the sports related to water such as swimming, scuba diving, fishing, boating, and water-skiing. Both motorboats and sailboats can be rented, or one can hire someone with a boat to go windsurfing or to tour the islets. It is also a pleasure for tourists to make a point of visiting the docks in the late afternoon, at the hour of day when the fisherman return in brightly painted boats. Tennis is popular as is jogging. One will find many visitors jogging along the roads that pass the beaches. Carnevale, although officially the four days before Lent, becomes a major focus of the island long before that. Many weeks before it begins, the weekends are full of dancers, drummers, orchestras and other performers parading and practicing in the streets. The Sunday before Ash Wednesday is the day when residents march through the streets in their pajamas. On Monday, men dress as women and vice versa, and numerous fake weddings are performed in the streets. On Tuesday, everyone on the island wears red, and finally, on Ash Wednesday, black and white are worn. Many tourists enjoy investigating the ruins of the volcanic eruptions of 1902 and the many historic gardens, churches and cathedrals. When visiting a church or cathedral as a sightseer, it is courteous to choose relatively modest clothing if one is going to enter the building. When attending Mass, a traveler should choose formal rather than casual attire. When planning an outing to a museum or historical site, it is always best to call ahead to make sure the site is open for the day.